The City’s contractor Valentine Corp. resumed work last week. Due to the heavy rains the site was saturated with water and mud. 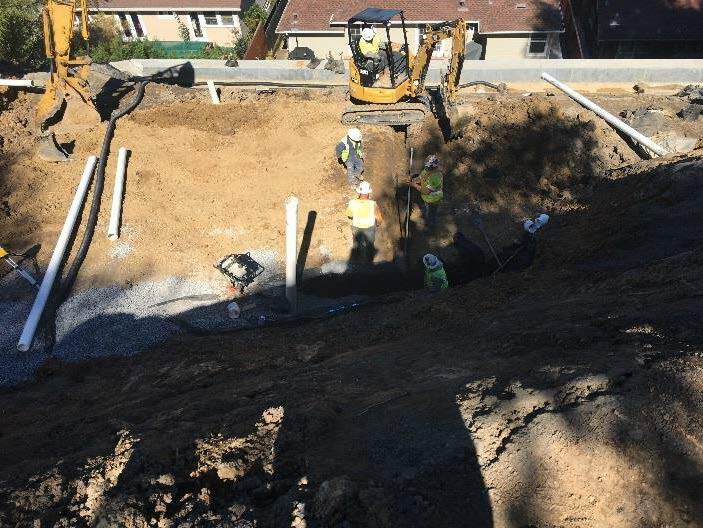 Valentine Corp removed over 400 cubic yards of mud and installed spring drains that will divert several liters per minute out of the hill through a subterranean drainage system.